Business window sticker. Let your customers know that Easter is approaching with this Easter window sticker. 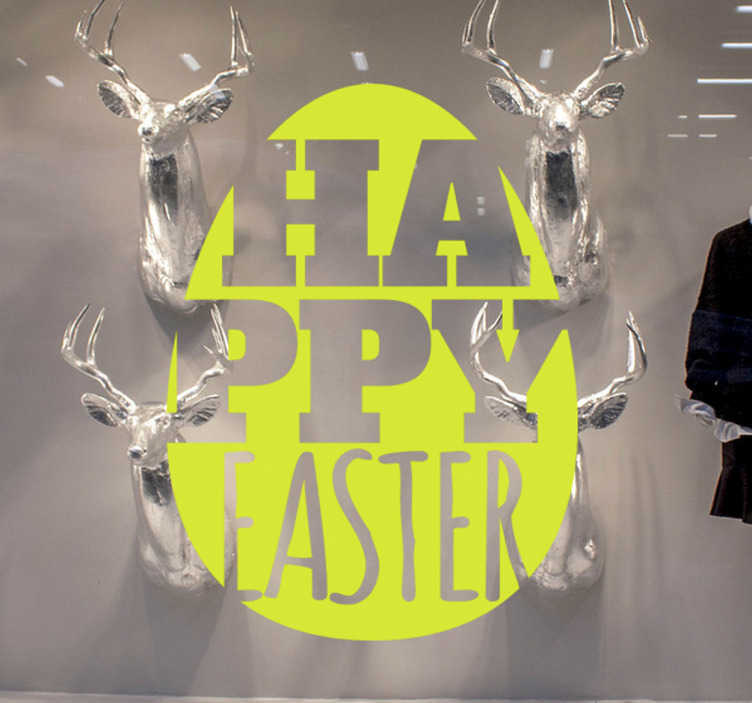 Promote your Easter sale and attract customers into your store with cool window sticker. The design consists of an Easter egg with the message "Happy Easter" written inside. If you choose to apply the sticker to the inside of the window, select the mirrored option.